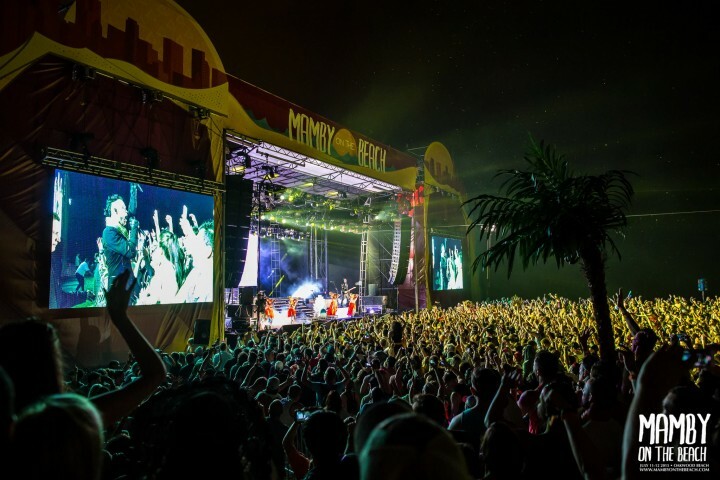 Mamby on the Beach organizers today revealed the initial lineup for the second edition of their annual Fourth of July music festival along Chicago’s shoreline. The lineup features a mixture of indie, hip-hop, and electronic artists. 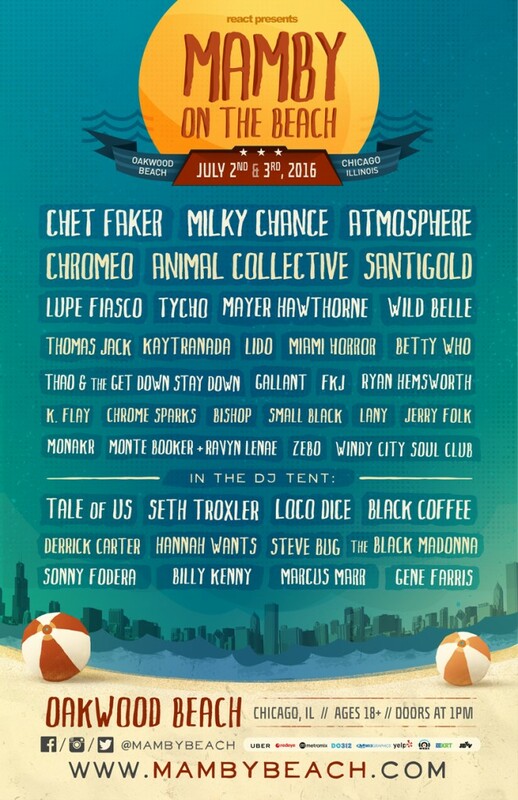 Headliners include Chet Faker, Milky Chance, Atmosphere, Chromeo, Animal Collective, and Santigold. Additional acts include Lupe Fiasco, Tycho, Tale of Us, Seth Troxler, Loco Dice, Black Coffee, Hannah Wants, Steve Bugs, Mayer Hawthorne, Kaytranada, Lido, Miami Horror, Betty Who, Thao & the Get Down Stay Down, Gallant, FKJ, Ryan Hemsworth, K.Flay, Chrome Sparks, Bishop, Small Black, Jerry Folk, and more (see full lineup poster below). Mamby on the Beach tickets are on sale now, starting at $115 for a general admission two-day pass.